Thanks to the team at L'avion and Park Ave Pr, I have been asked to be one of ten bloggers to be apart of the "Forget me Knot" L'avion styling competition. I was sent the Bouquet Scarf from the Flora and Fauna collection. 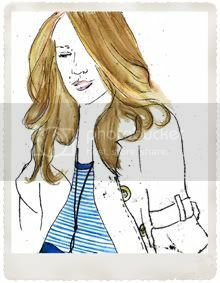 Illustrated by the amazingly talented Spiros Halaris. I soon as I received it in the post, I marveled at the colour and automatically wrapped it around my head (head scarf is my theme). This scarf has so many colours! which it great as you can twist, fold and tie it in so many different ways and it will look like a different scarf every time. I love how fun the bow is in the scarf, it some what reminds me of Minnie Mouse. Go to the L'avion Facebook page and "Like" me or any of the other participating Bloggers. 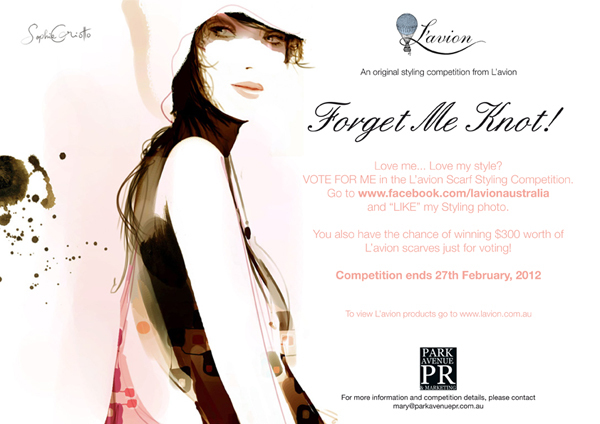 For all those who vote/like you go in the running to also win 2 L'avion scarves worth $300. So get cracking and join in the fun! If you would also like to some other great L'avion products, I wrote about their super cute Hamptons Bags here.